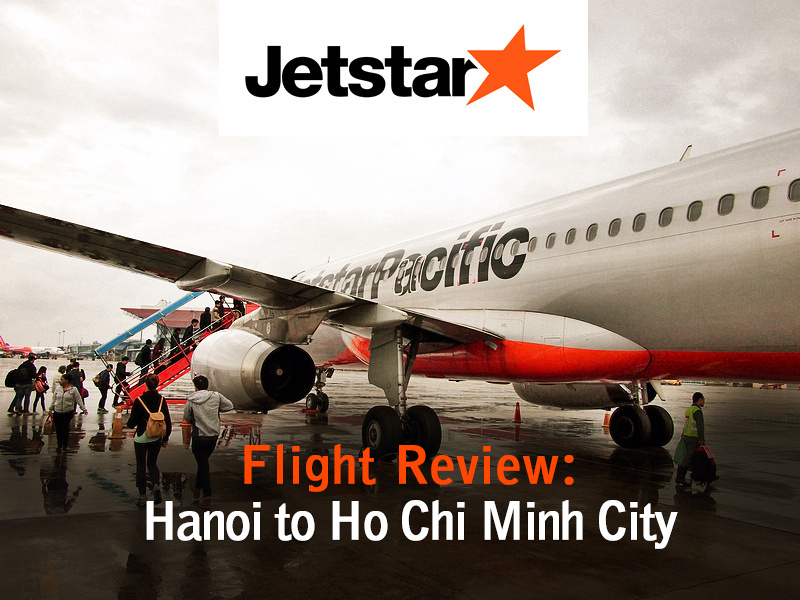 I flew with Jetstar Pacific from Hanoi to Ho Chi Minh City. I compared airfares online with Skyscanner. I know what airlines fly between the two cities but I wanted to see a comparison. 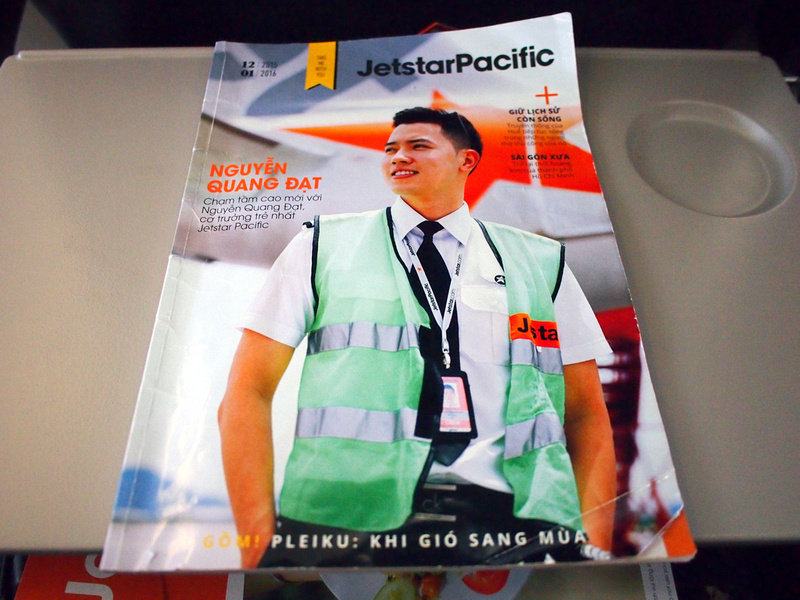 Fares between VietjetAir and Jetstar Pacific were about the same, so I ended up flying with VietJet Air to Hanoi and flying back with Jetstar Pacific. 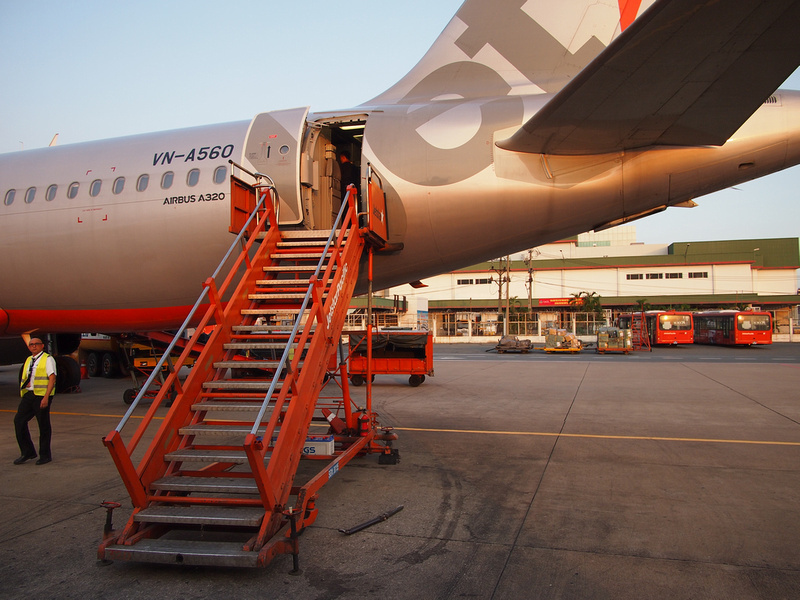 For this flight there was no airbridge at Hanoi Airport so passengers were bussed to the aircraft sitting on the tarmac away from the terminal. As you can see it was a dreary winters day in Hanoi, but luckily it had stopped raining when it came time to board. 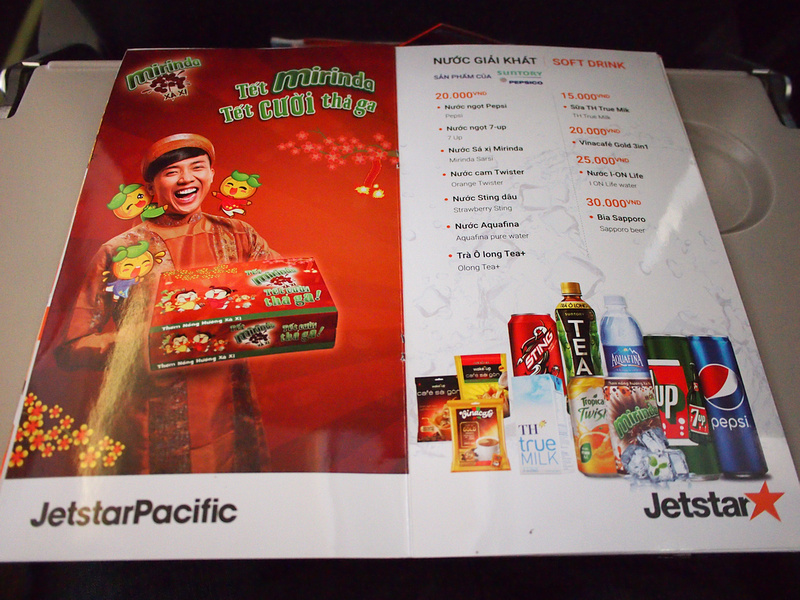 I had recently flown with Jetstar Pacific from Bangkok to Saigon so I knew what to expect in terms of onboard amenities. It is a low cost airline, so food and drink is only available for purchase, and it is BYO entertainment. The inflight meal service with competitively priced, with hot meals available for 50,000 VND ($2.20 USD). Drinks are also reasonable with water and soft drinks for 20,000 VND (90c USD). The flying time is around two hours, and as with Hanoi, the flight was parked on the tarmac and we were bussed to the terminal.